Hi everybody, this is Biscuit. She belongs to my friend Lorie and felt the need to hang out with me when I went to the restroom. 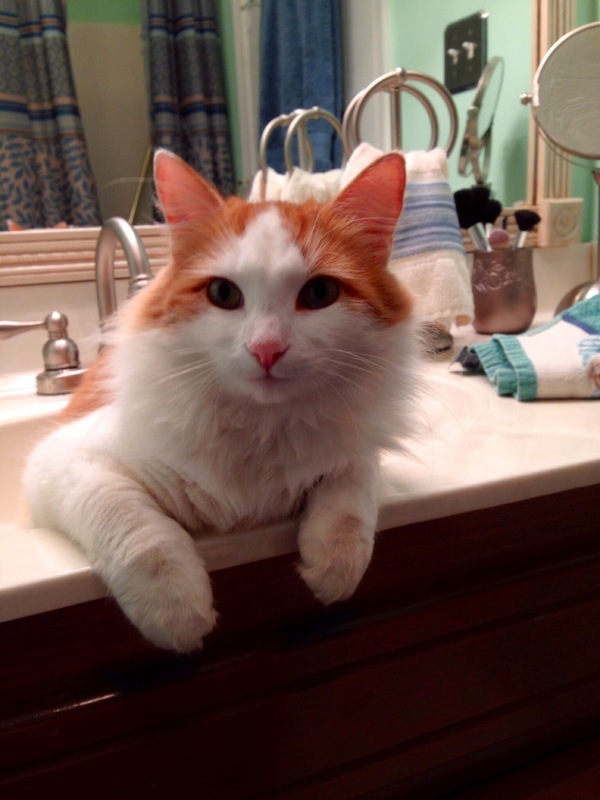 It felt just like home because I always have a pet audience in my bathroom too. Haha! I was at Lorie's house because we were working on a crafty project. She's doing a major home remodel and has been saving scraps of wood for us to play with for the holidays. 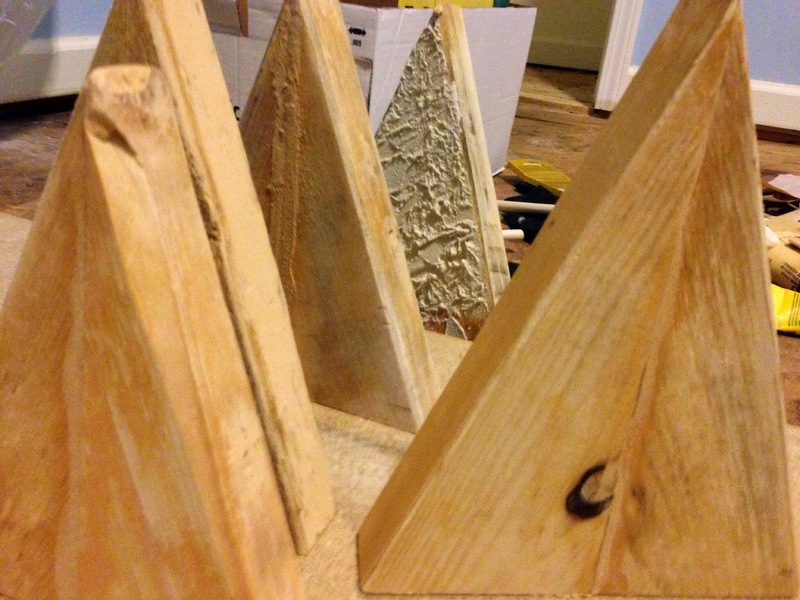 Her husband has been busy cutting them into shapes and sanding them for us. After eating dinner and making cocktails, we headed back into her remodeling space to work on some decor. See the short fat Christmas tree shapes? We plan to cover those in this stucco stuff and then paint/decorate. 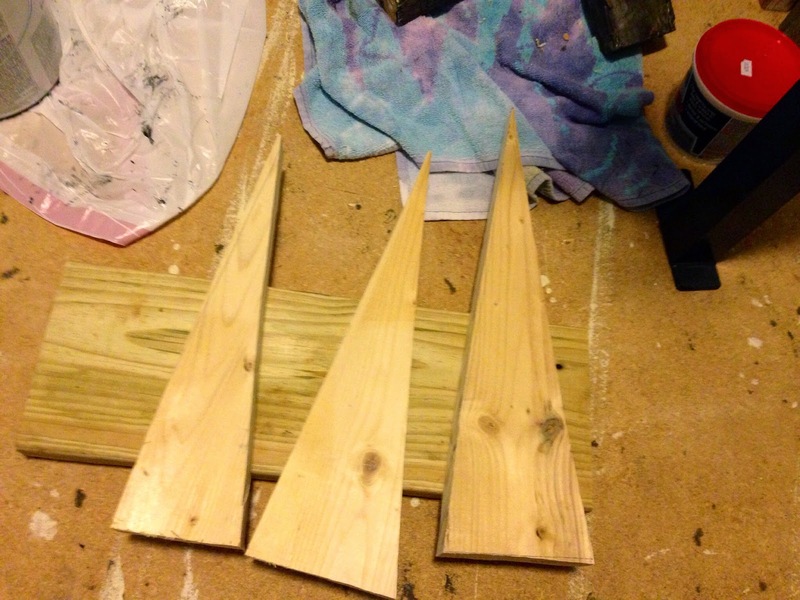 Check out these skinny trees that Lorie's husband cut for me! I plan to paint and decorate those too. 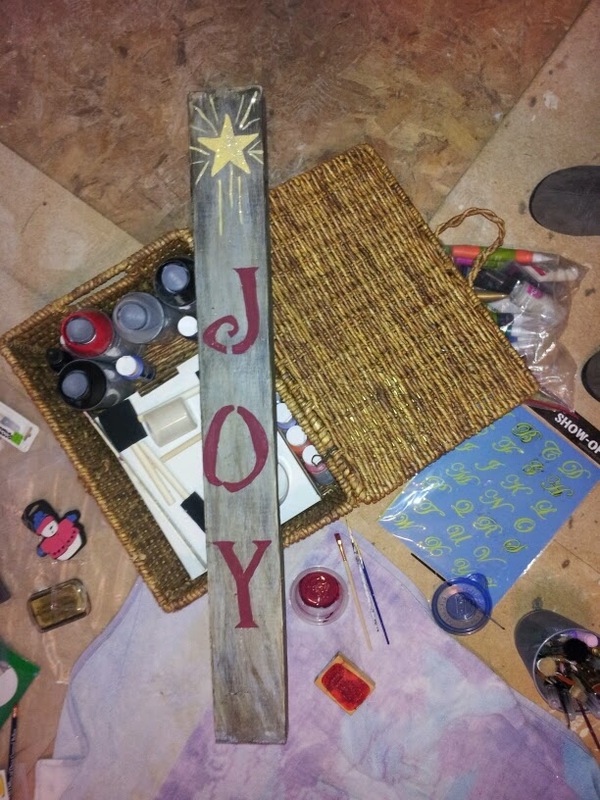 Here's all I managed to really accomplish during our evening of craftiness. 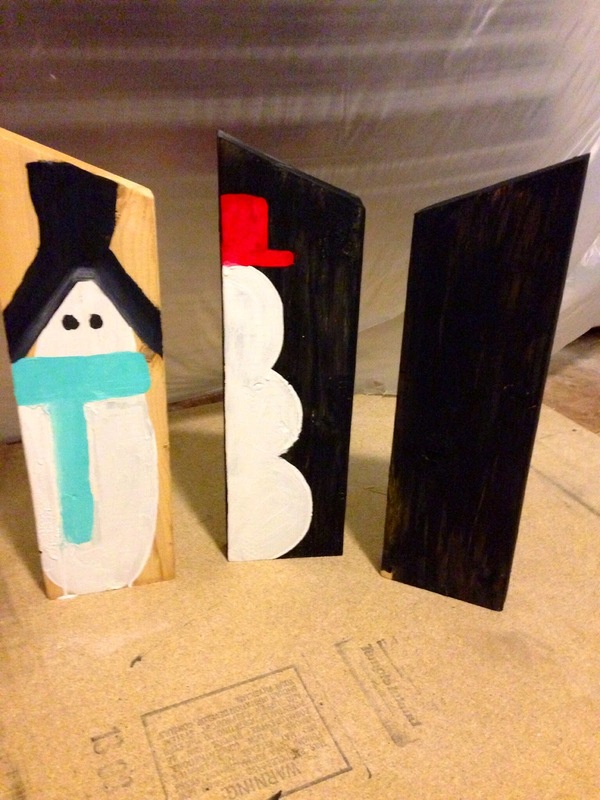 I'm working on a trio of snowmen here. I'm not sure if I'm happy with the start to the guy on the left, so I may paint over him and start over. Take a look at what Lorie made. She went all out with chalk paint and that special wax that goes over it to make her wood look really old. I think her sign turned out great. She plans to add something to hang it with and a bow. Ummm, I think she needs to make me one - hint, hint. FUN! projects with friends is the best!